Approx 1 1/2" in size. 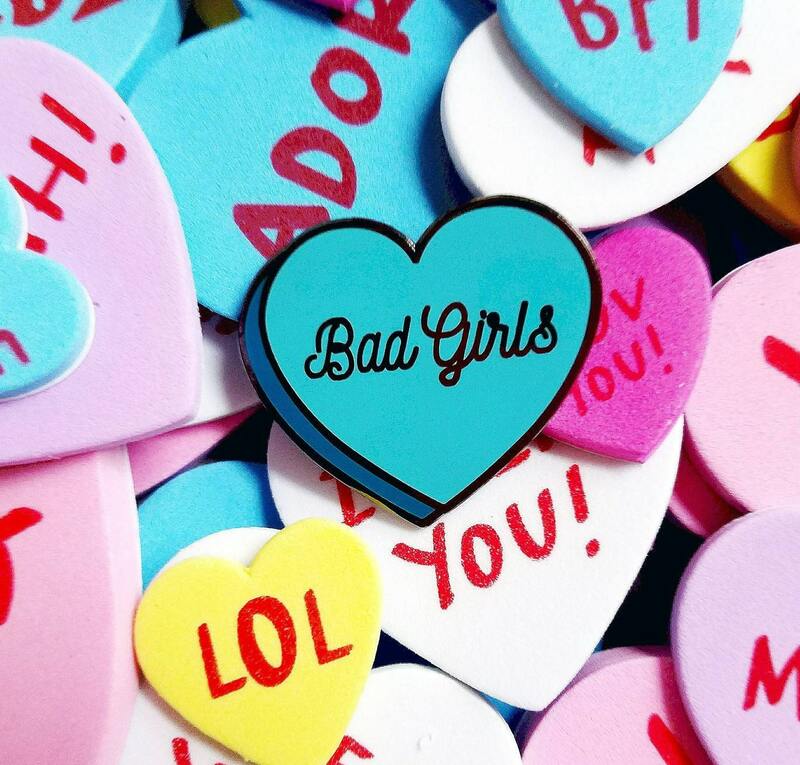 Conversation heart with "Bad Girls" in silver in the middle. Hard enamel with rubber backing. 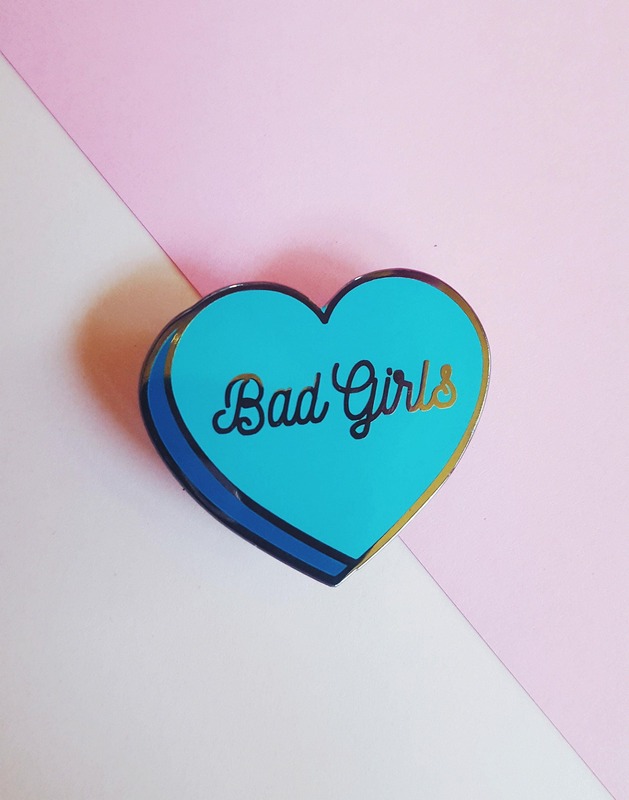 There isn't anything this pin doesn't look good one. 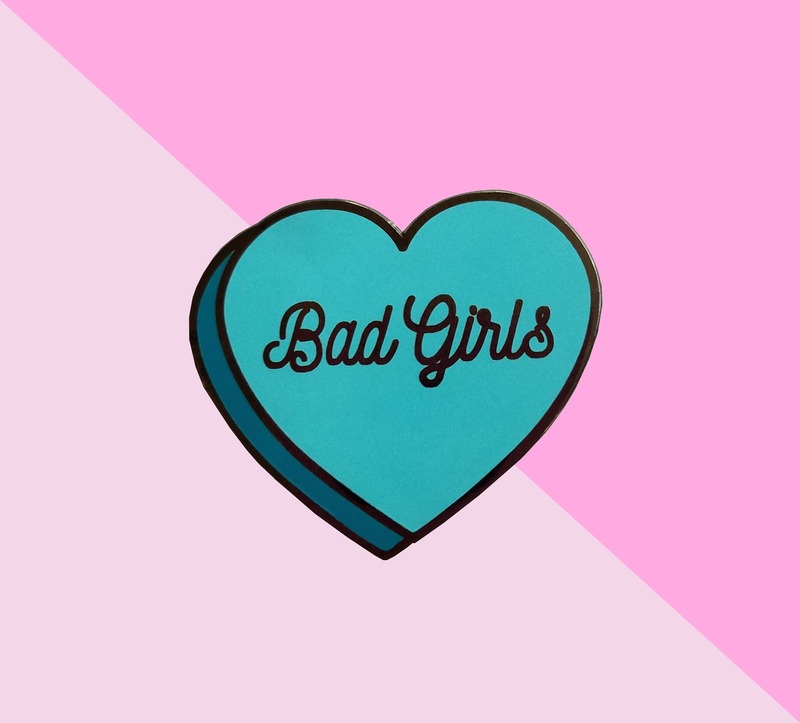 Join my bad girls club.